Writer/ director/ producer J. C. Chandor’s (Margin Call, All is Lost) latest motion picture, A Most Violent Year, hearkens to 70s/ 80s crime dramas such as The Godfather, Scarface, Dog Day Afternoon, Serpico, etc. Taking place in 1981 New York City—one of the city’s most dangerous, violent years on record­­­­­­—Chandor’s latest picture also serves as an antithesis to the gangster films of Hollywood’s past with a legitimately operating protagonist struggling to avoid violent means and ends. Cinematographer Bradford Young’s (Selma, Ain’t Them Bodies Saints) keen eye creates the illusion that 1981 still exists somewhere, especially because the score from Golden Globe-winning composer Alex Ebert (All is Lost) draws heavily from synth-reliant soundtracks of the 80s such as Scarface and “Miami Vice.” Each of these aspects come together fluidly, however, brilliant performances reminiscent of Al Pacino and Meryl Streep in the 70s elevate Chandor’s film to classic status. At its core, A Most Violent Year studies the tragic lengths and violent or dishonest methods men and women take to provide for their families. 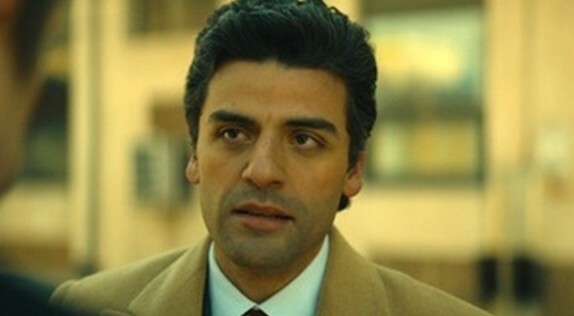 Rising talent Oscar Isaac (Inside Llewyn Davis, upcoming Star Wars: The Force Awakens) stars as Abel Morales, a successful immigrant with a profitable business operating a Standard Heating Oil outfit. The film opens on lush times for Abel: his family moves into a luxurious home and he’s almost secured a new real estate deal. Abel has Tony Montana’s rage countered with Michael Corleone’s experience, but he isn’t a criminal. Isaac’s intense, gripping performance gives the viewer a taste of what a young Pacino would look like playing the anti-Godfather. As Abel’s drivers and salesman fall defenseless victims to the city’s growing violence, his seemingly burgeoning business quickly looks grim. His desire to catch the men harming his business without compromising his legitimate ideals leads him on a thrilling car chase akin to the classic car chase sequence in Friedkin’s The French Connection. No men are more direct prey to the city’s violent men than one of Abel’s drivers, Julian (Elyes Gabel—Interstellar, World War Z), a fellow immigrant who gets mugged to open the film and has difficulty returning to the job. Chandor presents Julian as being on the same spectrum as Abel (immigrant patriarchs trying to provide for their respective families), yet on opposite ends (Abel is wealthy, Julian poor). In a year filled with impending, unstoppable violent acts, how can Abel avoid resorting to illegal methods and still control his fate? Throwing an unexpected cog in Abel’s plan is his tempestuous wife, Anna, played by two-time Oscar-nominee Jessica Chastain (Interstellar, Mama). Anna comes from an organized crime family and also keeps the books for her business with Abel. She questions his masculinity and surprises him with a gun in his office to make her point (about guns) stick. Anna is nothing like the matriarchs presented in crime dramas of the past—she has a direct, passionate involvement in the family business and isn’t forgotten in the background, simply enjoying her many blessings. Mama Corleone she is not. Chastain received a well-earned Golden Globe nomination for her performance in Chandor’s film. It isn’t a stretch to imagine a younger Meryl Streep in the role had this really been produced in 1981. The remaining supporting cast is also sure to impress audiences. Isaac’s Drive co-star Albert Brooks (This is 40, Finding Nemo) plays Abel’s calm, assured attorney who never leaves his client’s side even when his real estate deal falls in dire straits. Talented character actor David Oyelowo (Selma, Interstellar) plays the ambitious New York City District Attorney who looks eager to investigate Abel’s operations and later, forming a potential political alliance. Alessandro Nivola (Selma, American Hustle) shows up in a brief, pivotal role as Anna’s brother with illegitimate business means—an icon of everything Abel wants to avoid. J.C. Chandor’s latest film takes a look at a protagonist desperate to play within the system instead of making his living off of vice and the like. Chandor proves that filmmakers of today’s generation can keep a boiling, suspenseful plot without an enormous budget and maintain originality in going forward. Perhaps Oscar Isaac’s Abel Morales is the first of many protagonists in a potential fad of good-guys-who-want-to-play-by-the-rules-except-circumstances-dictate-otherwise just like the fad of criminal and gangster protagonists that hit Hollywood’s Bronze Age, particularly in the works of Martin Scorsese. 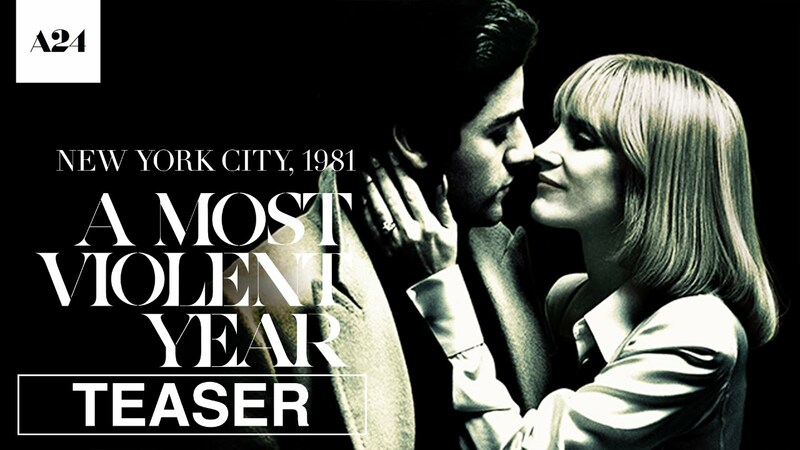 Beautiful camera work, dramatic music, and memorable performances make A Most Violent Year a classic not to be missed by fans of Pacino’s early work, particularly with legendary director Sidney Lumet.